A beautiful sparkling crystal 'piece' for fans of 1940s necklaces full of vintage glamour. With cascading vintage sparkle, embrace 1940s Hollywood glamour with our Starlet of the Forties Necklace. Featuring a Y necklace design, this sensational silver tone 'piece' is encrusted with clear oval Austrian crystals enhanced with petite brilliant cut crystals. If you adore the iconic style of Screen Sirens gracing classic black and white movies, this is perfect for when the occasion calls for vintage glamour. 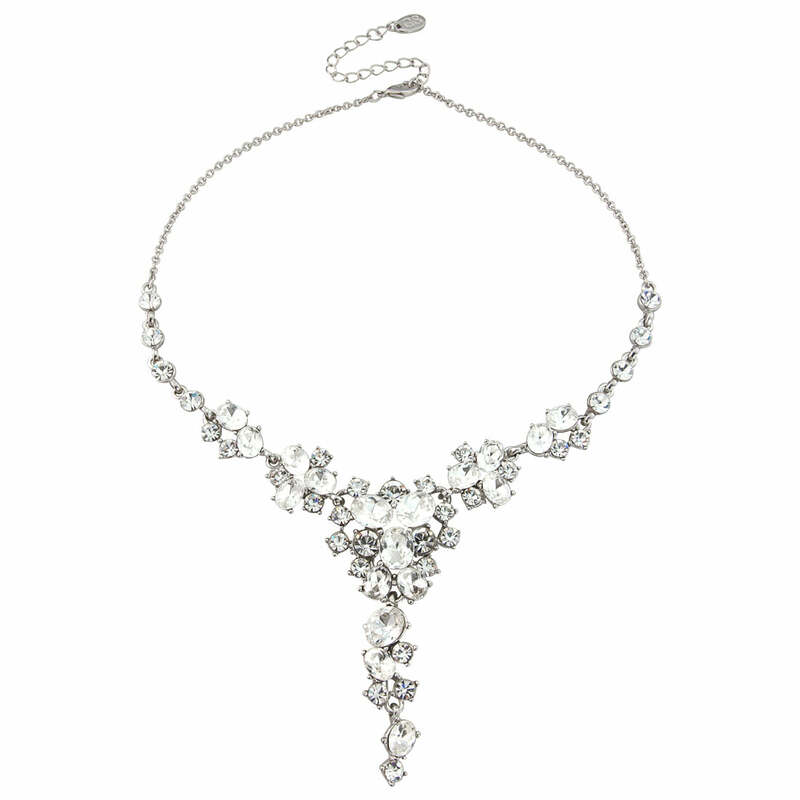 A beautiful wedding necklace for brides who adore the elegant glamour of the 1940s and who favour bridal accessories which are gracefully glamorous. Team with coordinating Starlet of the Forties Earrings for a look to turn heads as you glide down the aisle.